Thousands marched in Panama on Thursday to protest a scandal over huge bribes paid by a Brazilian company in exchange for public contracts. "No more governments of thieves and the corrupt," read some placards as the crowd moved through the center of the capital to the Congress building. 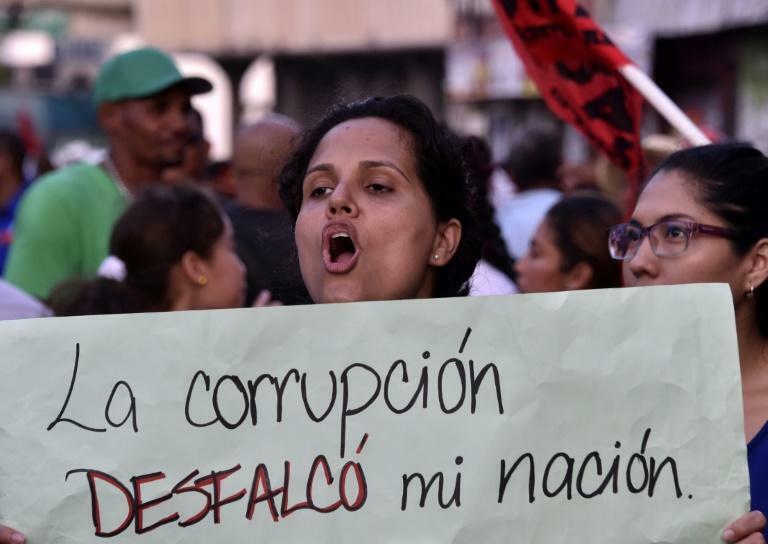 "The goal of the march is to demand that all those corrupt in all the parties and businessmen are investigated, so they return the money and go to jail," Saul Mendez, a leader of the Suntracs construction union that was among the organizers, told AFP. The scandal surrounding the Brazilian company Odebrecht, which US authorities said paid $59 million in bribes in Panama between 2010 and 2014, was just "the tip of the iceberg," he said. Odebrecht has admitted to paying $788 million in bribes to win fat construction contracts in 12 countries. It has agreed with the US Justice Department to pay a world record $3.5-billion fine. Panama, which is trying to clean up its image after the Panama Papers scandal last year, has asked Interpol to issue wanted alerts for the sons of Ricardo Martinelli, who was president who was president at the time.